Click on the image to connect with Wyoming Bridal Expos to preregister for the Sheridan Wedding & Style Event on February 28! 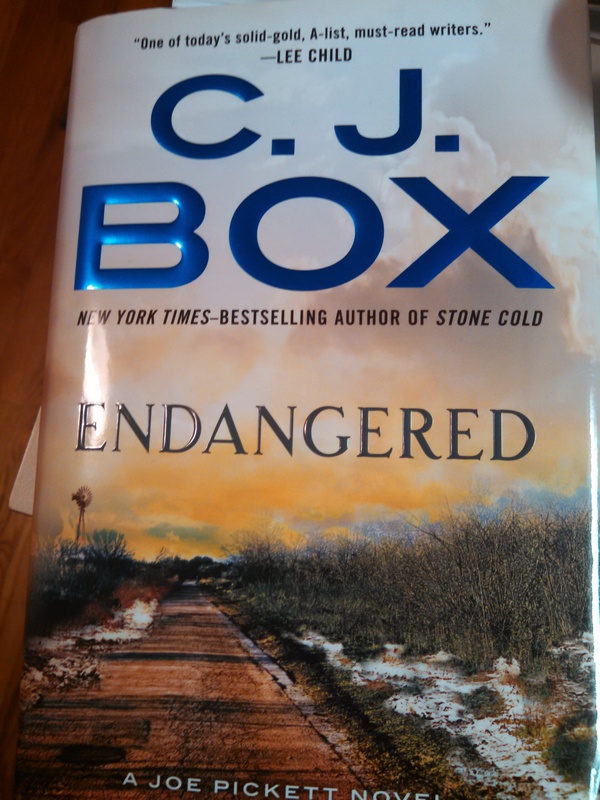 Now comes ENDANGERED, the new Joe Pickett novel which Putnam will publish on March 10, 2015 ($26.95). And with this 15th entry in the New York Times best-selling series, C.J. Box has done it again. As the story opens, April, Joe Pickett’s 18-year-old daughter, has disappeared. Joe already had good reason to dislike rodeo champ Dallas Cates, but now he has even more of a case against him — Joe learns that it is Dallas with whom April had run off. And now she is missing. Then comes even worse news: the body of a girl has been found in a ditch along the highway – she’s alive, but just barely, the victim of blunt force trauma. That girl proves to be April, and the doctors don’t know if she’ll recover. Dallas denies having anything to do with it — says she ran off from him, too – and there’s evidence that points to another man. But Joe knows in his gut which person is responsible for bringing her to harm. What Joe doesn’t know is the kind of danger he’s about to encounter. Dallas Cates is bad enough, but Cates’s twisted family is like none Joe has ever met before. And they will do anything to protect Dallas – literally anything. Joe’s going to find out the truth, even if it kills him. And this time, it just might. 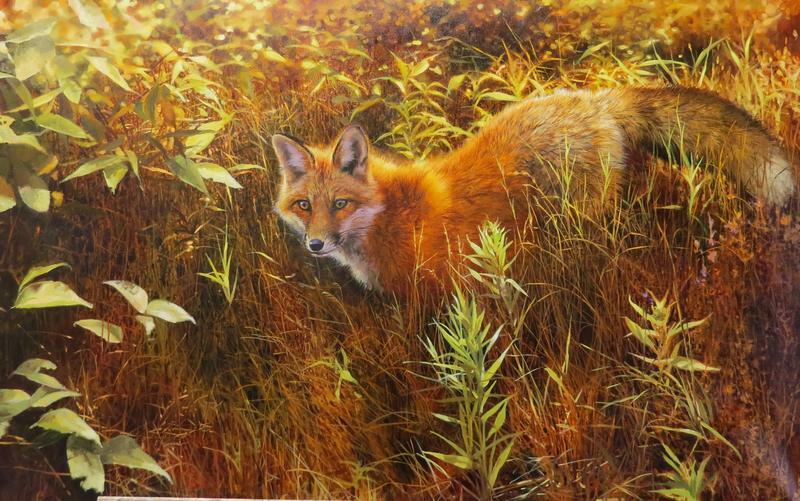 Jackson’s Trailside Gallery has a variety of wonderful shows and events to enjoy this summer. For beautiful art, for the discriminating collector, be sure to visit them online and when in Jackson, visit their gallery at 130 East Broadway. visit our website & read the winter issue – spring issue is coming soon! Maura Jacobsen started her business in a two room cabin in Riverside, Wyoming after she graduated from the University of Wyoming in 1993. It has grown over the years to include her husband and three children, who run the shipping department. 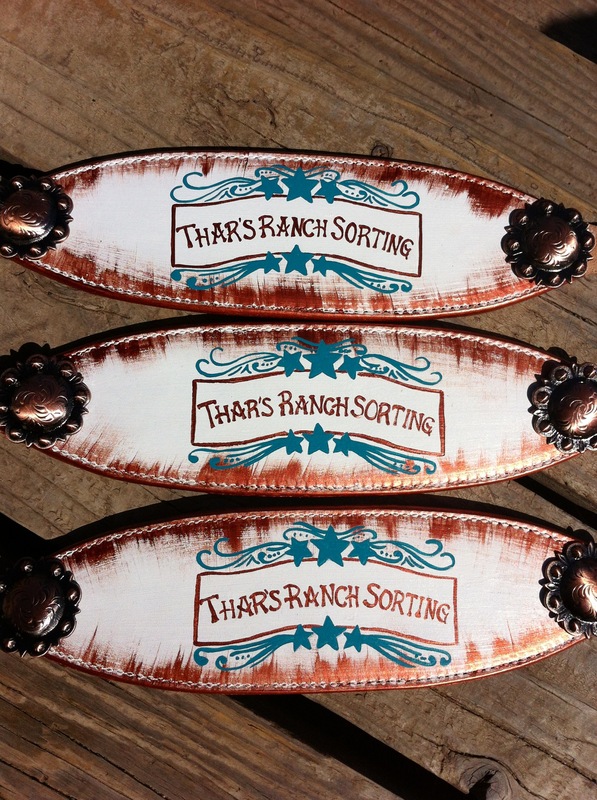 Maura’s pottery studio is located in Cheyenne where she produces pottery platters made out of vintage license plates. Maura has lived in many small towns in Wyoming where she has promoted her love of art. The business has grown over the years and she does demonstrations and classes for adults and children. Maura is also on the Wyoming Arts Council Artist Roster. There are two potter styles. The style being produced the longest is all hand thrown and glazed stoneware for everyday use. Fun patterns and sayings are a reflection of where Maura lives and the silly things her children say. The second style was just started this last year; the vintage licenses plates. These become one-of-a-kind patchwork platters. Maura receives license plates from around the county to be made into platters. The love for the license plate platter had taken off. Maura has found that a license plate holds fond memories and stories, and this product allows customers the opportunity to take the plate off the garage wall and share it with family members by having a functional piece of art made. Custom orders are a large part of Maura’s business. Her products can be purchased through her website at www.maurajacobsen.com. 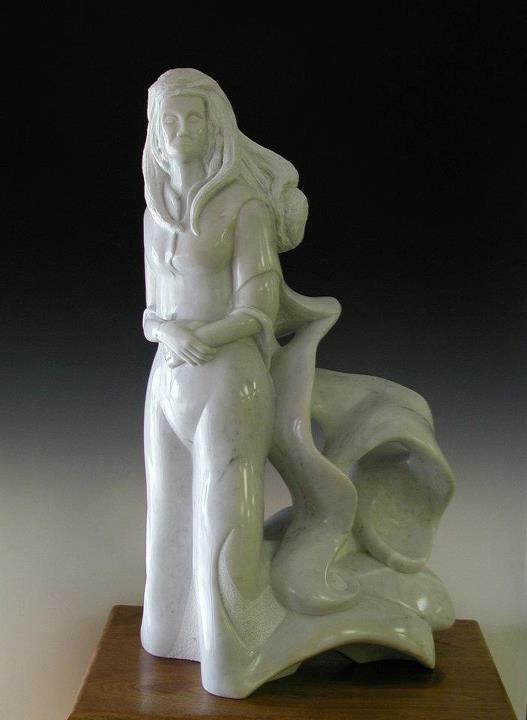 Maura’s pieces can be found at Wyoming Home in Cheyenne, Made Jackson Hole and at Wadoo in Old Town Fort Collins. Check her web site for more locations as they are added. The prices range from $18 to $75. She is always looking to create a product people will love and something that brings a smile to their face when they see what has been created just for them. My name is Mark Christian, winner of the 2013 Wyoming Short Film Contest, held by the Office of Tourism and Wyoming Film Office and was awarded $25,000 to make a film to be shot in Wyoming. I am reaching out to you because we are trying to spread the word of the film across the state. The film will be shot 100% in the state of Wyoming showing off its beauty and providing work for its kind and hardworking people. Our film, Cardinal Matter, is a feature length film about Austin, a US soldier on leave who has lost all his family. All he has left is his cousin, Hunter, but when he goes to visit he becomes the target of a deadly corporate cover-up. It’s a powerful tale illustrating the effects of large cities on rural America and we feel strongly about telling a good story through a compelling narrative that audiences of all demographics will enjoy. Currently, our biggest obstacle is budget. We are about $12,000 shy of our goal on indiegogo. Myself and the rest of the Cardinal Matter crew are hoping you can share our campaign page/fb page to spread the word to your followers. I have provided a link to our facebook page as well as the Indiegogo campaign below. I would be happy to answer any questions! You can reach me at cardinalmatterfilm@gmail.com. The Corridor Gallery is excited to announce “It’s Not About the Frame” an upcoming show opening on December 13th at 7pm featuring a collection of Classic American Illustration. “It’s Not About the Frame” is a hand selected batch of 45 original American Illustration works from Fred Taraba’s collection. The Corridor has chosen to remove existing frames and show all work sans distraction. Knowing that most who purchase any of these works will opt to have framed themselves, The Corridor is offering a $100 framing certificate with each sale. The show’s flagship piece is an original illustration done for the cover of The Saturday Evening Post in 1945 by illustrator John Atherton. Given the popularity of The Saturday Evening Post, many of the less known cover illustrations have sold in excess of six digit figures. More intriguing than a potential price tag on this piece is the fact that John Atherton gifted it to a few women that saved Atherton’s life after a ski accident in 1945. John concluded his life saga by drowning in a fly-fishing accident shortly after at the age of 51. 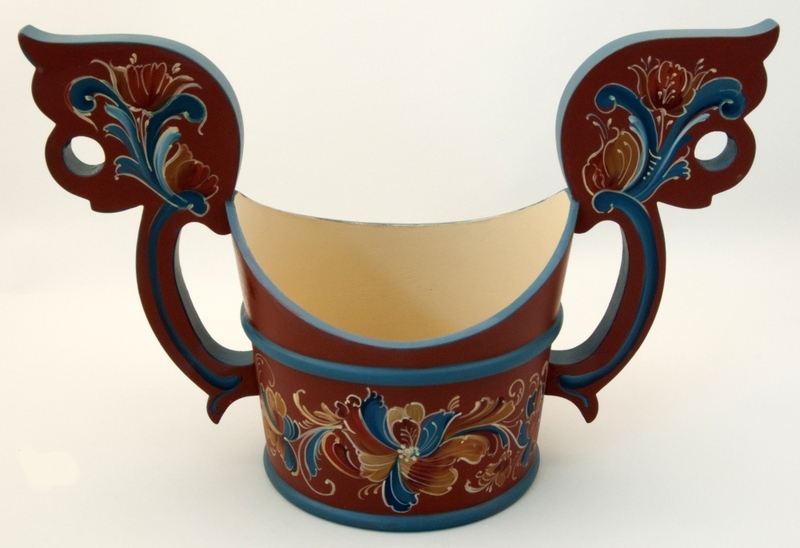 Every single piece of this collection reveals complex and interesting stories such as this. Fred Taraba is a dealer in original American illustrative artwork… that is, painting and drawings that have been created specifically for reproduction in books, magazines, advertisements and many other media. He has been in the business of caring for, writing about and selling original illustration since 1983. For sixteen years he was the Director of Illustration House, Inc. a New York City gallery and auction house specializing in the art form. Prior to that he spent eight years with The Society of Illustrators in New York as their Assistant Director/Curator and Librarian. The public are invited to the opening reception on the evening of Friday, December 13th at 7pm. There will be a cash malt beverage bar at hand and the Fred will be present for questions. “It’s Not About the Frame” will ONLY be showing through Sunday, December 15th. Please contact the Corridor Gallery or Fred Taraba with any questions. November is Native American Heritage Month and is set aside to honor and recognize the significant contributions of the first Americans. The Lander Art Center has teamed up with Native artists from Fremont County to celebrate Native American heritage through a unique collection of local artists’ work. This collaborative art show represents Native artists mainly from Fremont County. The show is a diverse and dynamic collection of work that showcases the many talents of artists in our communities. Ceramic artists, beaders, graphic artists, and a eclectic group of painters are showcased in multiple venues around town. The Middle Fork Cafe, Lander City Hall, and the Lander Library will all be hosting Native artwork throughout the month of November. Appetizers provided. Drinks for purchase from Middle Fork. The community is encouraged to attend and meet the artists! Brochures will be available at each location to provide information on the artists and the locations where artwork can be found. SAGE (Sheridan Artist’s Guild, Et al) is pleased to present two November shows at their SAGE Exhibit Gallery, located at Sheridan College Main, 171 No. Main St. 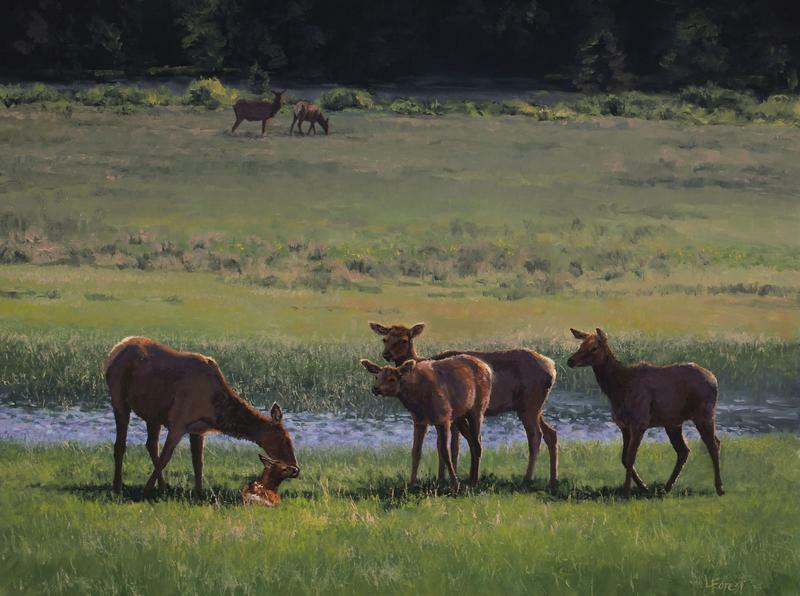 The Sheridan Parks & Pathways national juried art show features art depicting Sheridan’s public walkways and parks. The show’s juror is artist Danna Hildebrand, former Sheridan resident and college art instructor. In conjunction with the Parks & Pathways show will be SAGE’s Annual “Artly Altered Furniture” fundraiser. Various pieces of furniture are decorated and donated by SAGE members and sold via silent auction. Proceeds benefit SAGE & the Sagebrush Art Center. 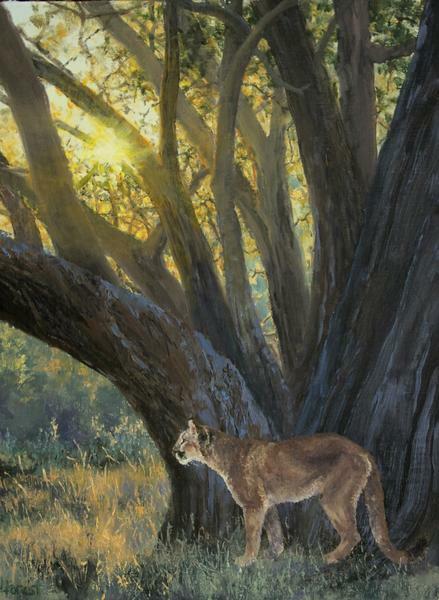 The Parks and Pathways Artists’ Reception & Awards Ceremony will be November 7th, 5:30-7:00 pm. 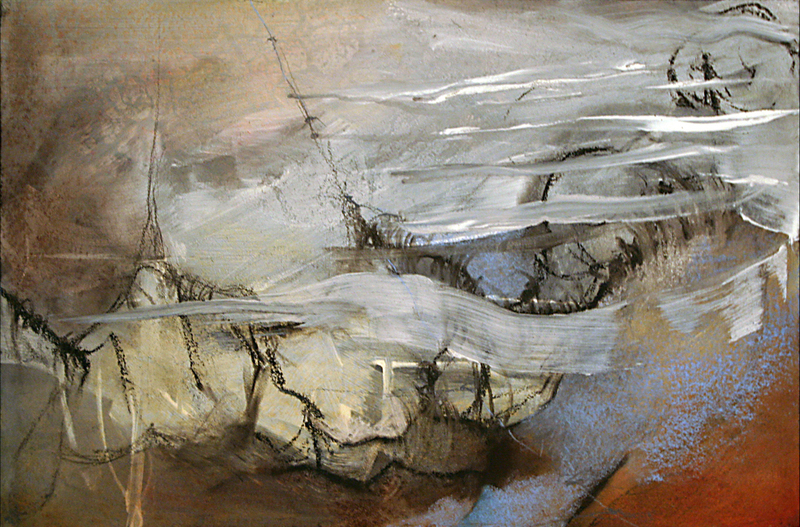 Both shows, as well as the “East Meets West in Wyoming” “stock show” at the Sagebrush Art Center, end on November 29th. This project is made possible by a grant from the Wyoming Arts Council. Are you a photographer? Do you know one who needs studio space? Studio Share Gillette has a cost effective solution for you! Visit www.facebook.com/studiosharegillette to learn more. The exhibition runs October 11th- November 16th at the Sagebrush Art Center (located in the Historic Train Depot, 201 E. 5th St. in Sheridan). An Opening Reception and artists’ talk was held on October 11. This project is supported in part by a grant from the Wyoming Arts Council, through funding from the Wyoming State Legislature and the National Endowment for the Arts. This was the fifth summer that I have gone to visit the wild horse ranges, but the first year that I made it to Wyoming. The trip included stops at the Little Book Cliffs, Sand Wash Basin, McCullough Peaks and Pryor Mountain areas. The beauty of Wyoming was very inspiring and the horses were ones that I wanted to visit for many years. I traveled with my 1972 Shasta trailer, “The Paint Box” and stayed out on the ranges. (Although some areas required truck and tent camping), I had a very comfortable month-long painting adventure. The McCullough Peaks horses were rugged and handsome, a classic wild horse. Even tough it was windy, I did get some paintings done while I was there. The range is easy to access and the location as the gateway to Yellowstone is easy for visitors to be able to get to on a day trip. After spending three nights at McCullough Peaks, I headed up to the Pryor range. The beauty just blew me away. The open meadows, Tea Cup and Mystic Waterhole areas allowed for wonderful photo and video opportunities. It was a real treat to spend time with Cloud and his band. I know I will be back next year. On the way home to Arizona, I spent a few days in Yellowstone. While I was there, I was able to get two buffalo paintings done, even though I had to move three times while working on one of them. The buffalo clearly had someplace to go! 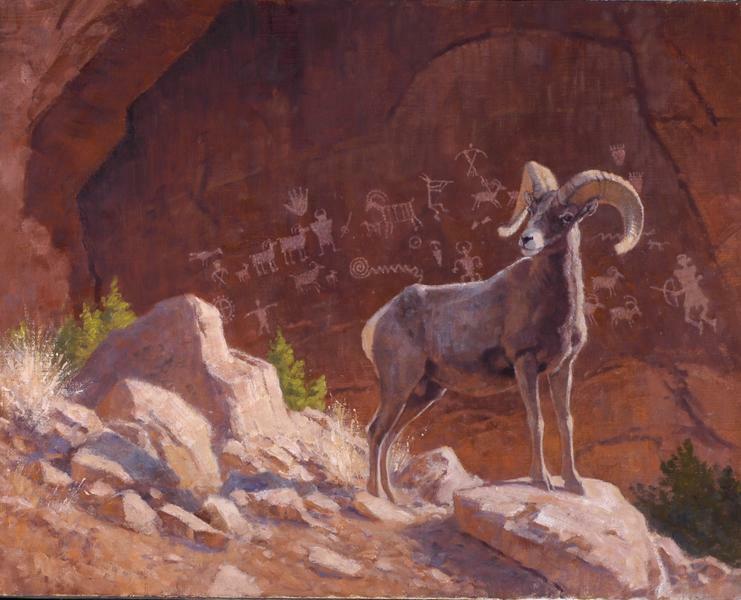 Wyoming is a painter’s paradise, and I look forward to my next visit! Patricia Frolander and her husband, Robert, own his family ranch in the Black Hills of Wyoming. Ties to land & livestock have provided a wonderful variety of subjects to journal and pen. Their family includes three children, seven grandchildren, two great-grandchildren, all of whom live close to the ranch. Managing family or ranching is like trying to rope the wind. In Wyoming, the wind is either bringing a storm or ushering in sunshine. “I love the changes, although as I age, moderate weather is appreciated,” Patricia says. She has a passion for family, ranching and writing; while actively ranching, you may find her on a tractor or horse…however, at this stage of her life she prefers the chair at her writing desk. Her hobbies also include traveling and genealogy. Patricia’s volume of poetry written to reflect her upbringing and life in Wyoming ranching is titled Married Into It and is published by High Plains Press of Glendo, WY. 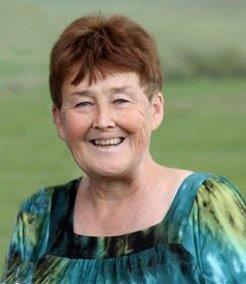 Patricia was selected as Wyoming’s Poet Laureate in 2011.
horse-miles and hay-miles behind us. I am a novice, urban know-nothing. I learn about ranch life on Houston Creek. and fires that raged through drought-stricken fields. one after another, texture guides her hands. carefully cooked cornstarch, water, eggs, lemon, and sugar. carry me to another place in time. as dough is spooned onto the cookie sheet. with cinnamon, cloves, ginger, butter, sugar, and flour. So I plant pumpkin in my vegetable patch. of a sunny kitchen where I learn who I am to become. but the sweetest taste of fellowship. among bronzed stems of grass. a slide sinks in Plains dirt. Inside the school, desks lie abandoned. from the shift of rock foundation. A world map is severed at the equator. droop in tatters, books strewn beside them. Long-ago recitations linger in prairie wind. The Corridor Gallery proudly presents “Architecture Speaks In Black & White”, a photographic exhibit by Casper resident and artist, Michael Flicek. Michael has been shown in numerous galleries nationwide and is an award-winning photographer with a vast resume´. Architecture Speaks In Black & White will be Michael Flicek’s second solo show to Casper, Wyoming. Michael is partial to black and white photography working in the digital realm. Capturing the image on locations is only the beginning of his process. Once Michael composes a photograph, he’s on to the next step of immersion within his “digital darkroom”. Michael then manipulates the image to fit his vision of a final work of art. Once satisfied, he creates immaculate digital prints in limited edition on archival quality glossy baryta finished paper. Due to the high quality print and stock used, Michael’s photographs take on a traditional look. 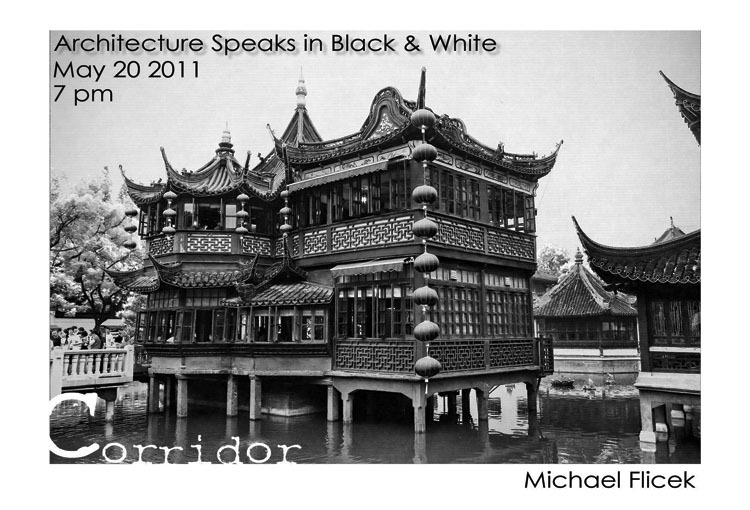 “Architecture Speaks In Black & White” will only be featured for 3 days at the Corridor gallery. The press and public are invited to attend the free opening reception on Friday, May 20th at 7pm. The public and press are invited to attend an artist’s talk with Michael on Saturday, May 21st at 2:00pm. Michael’s work will show only through Sunday, May 22nd. We hope to see you there!